We’re recruiting both a permanent marketing and communications manager and a part-time, fixed-term marketing and communications coordinator to join our team. The ideal candidates will have a passion for engaging diverse audiences in a broad range of art forms in a fast paced, exciting and creative environment. Please go to our website for more information and to apply. We are seeking to appoint new trustees to guide Cubitt’s operations and lead initiatives to strengthen Cubitt’s long-term sustainability. Trustees work together with cooperative members on the governing committees, offering a rewarding dynamic of collaboration where trustees’ contributions are greatly valued. Experience in arts and arts education, community engagement, audience development, diversity and fundraising would be particularly relevant. Aesop are looking for a part time Local Coordinator for it’s Oxfordshire Dance to Health programme working in partnership with South East Dance. The role is 2.5 days per week at £27,500 per annum pro rata based in Oxfordshire and will require someone able to travel around the area. Deadline is 2 January 2019. For more info or to apply visit here https://www.harrishill.co.uk/job/local-dance-to-health-coordinator-1/ For information about Aesop visit their website http://www.ae-sop.org/about/ For information about the Dance to Health programme visit https://www.dancetohealth.org/ If you want an informal chat please contact Aesop directly and ask to speak to Karen. We’re looking for an experienced evaluator – an individual or agency – to lead on the evaluation of our forthcoming Festival of creative Ageing (working title). ArtSpeak is a new arts programme running in Nottingham that has been funded by The Big Lottery, reaching communities. We are seeking a range of Artists to deliver engaging workshops for people aged 60+ as part of the programme. Entelechy Arts is a pioneering arts charity working in the fields of art and social change. 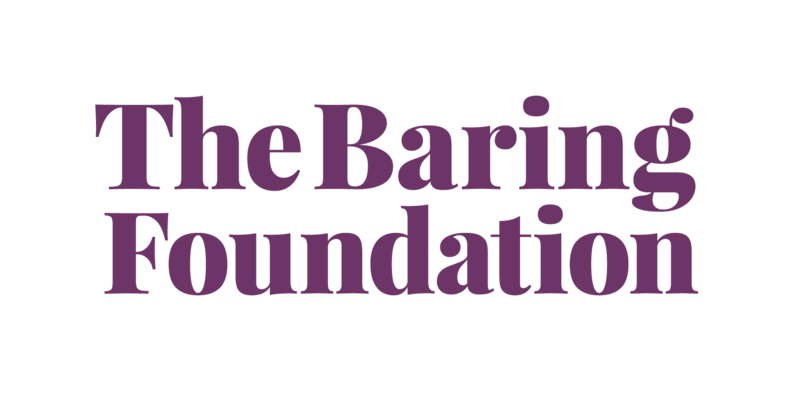 Based in South-East London it has achieved national and international acclaim for its work with older people and those with complex disabilities. For over 25 years the company has been making exciting, contemporary work in the centre of its community. We are hiring a project coordinator to enable the smooth running of Magic Me’s Schools and Community programme, providing administrative and practical support for artists, staff, volunteers and project participants. The post-holder will work across Magic Me’s School and Community programme. We are looking for a highly creative and experienced individual to manage and develop our award winning Meet Me At… programme of work with older people in Lewisham. City Arts is seeking a Freelance Evaluator for Imagine Celebrates, a two-year arts programme for older people based in Nottingham. We are hiring a freelance producer to deliver our upcoming project Quality Street. This is a two year contract working on average two days per week and is funded by The L&Q Foundation. Quality Street offers a mixed programme of intergenerational arts events, projects and activities culminating in a new annual street festival in June 2019 and 2020. Project administrator wanted for Creative Dementia Arts Network for immediate start. This is a flexible post supporting CDAN's CE until April 2019 working an average of 2-3 days a month. Ageing and Creativity is seeking to recruit a freelance creative writing practitioner to devise and deliver a series of writing workshops for a small number of older people in sheltered accommodation in Bicester starting in August 2018. 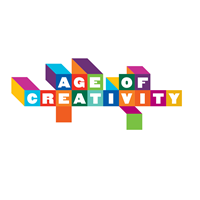 Background Ageing and Creativity is a partnership between the Oxford Research Centre in the Humanities and Age UK Oxfordshire, who lead and manage the Age of Creativity. The focus of these workshops is to explore how memories and experience can be used to inform creative practice with participants in a shared present, rather than as a resource for reminiscence. The project will enable participants to have fun and explore creative writing, but also challenge attitudes towards ageing and what it means to grow old. We are looking for artists to creatively capture the work we do with over 60s. This is the second call for this project. The first is aimed at emerging artists and this one is aimed at artists more established in their field. Entelechy Arts is looking for a Director to lead it towards its 30th Anniversary and beyond. If you can help build communities, are sensitive, imaginative and dynamic they want to hear form you. Intergenerational arts charity Magic Me are recruiting a Management Accountant. This is a part-time administrative role supporting the busy and vibrant Creative Programme across the three venues which last year included 430 shows. Are you interested in the arts? Do you have experience of developing and managing arts programmes? Would you like to join an “outstanding” Trust? Deadline: 11th March 2018. Spare Tyre is recruiting for a part-time Marketing & Administration Assistant. Deadline 5 February 2018 London Bubble is looking for volunteers to support its Creative Elders Programme which runs weekly theatre making workshops in 6 sheltered housing units in Southwark. An opportunity for the ideal candidate to gain experience delivering one of the UK’s largest and most successful audience development initiatives. Our Day Out’ is a programme of creative activities for older people. Creative Arts East hosts twice monthly free dance and music-making activities in Norfolk, aimed at giving people a chance to socialise and try new things in a safe and dementia friendly environment. Artistic and Programmes Director – deadline 1 December 2017 Arts for Health at Milton Keynes Hospital is recruiting a Director to provide strategic leadership for its work. Magic Me, the leading intergenerational arts organisation, is looking for a Project Co-ordinator for their ground-breaking Cocktails in Care Homes project. The British Museum is recruiting for a Community Partnerships Coordinator to lead the Age Friendly Museums Network, which aims to encourage and support the museum sector to be more age friendly. The post-holder will support the development of new regional Age Friendly Museum Network hubs, administer the commissioning of activities across the UK, and manage volunteers in the delivery of programmes. This role involves representing the Age Friendly Museums Network in national forums and providing advice to regional partners. Luminate invites proposals from artists for a three-year residency in Erskine care homes in Bishopton, Glasgow and Edinburgh. The opportunity is open to two artists working primarily in different artforms. Magic Me are looking for a Project Manager with a strong track record of managing and developing large scale community and participatory arts projects, who is passionate and committed to connecting people through the arts. City Arts is recruiting for two exciting new roles, App Developer & App Designer. The successful candidates will be working on our Armchair Gallery project, which has been developed over the last 3 years as part of a national Arts and Older People’s fund awarded by Arts Council England and The Baring Foundation. Recent funding from Nominet Trust has enabled this project strand to be taken to the next level. In 2017-18, our aim is to develop an interactive App to be used by older people and other communities of interest. The Centre for Ageing Better is an independent charitable foundation funded by an endowment from the Big Lottery Fund and part of the ‘What Works’ network. We bring about change so that more people today and in the future benefit from their longer lives. We know what makes for a good later life; we know who is at risk of missing out. We’ve identified the changes we want to see and have begun work with and through others to make a significant positive impact. ILC-UK is the leading think-tank on ageing and demographic change. We have over 15 years’ experience of producing ground breaking research, policy analysis and debate. Presenting current and futures research on economic policy, families and community, health and social care, migration and integration, transport and planning, work and wellbeing. Issue and impact driven – we aim to improve public policy and practice both at the national and international level. We are solutions focussed and all our reports include targeted recommendations for future action. Over the last year, we have enjoyed great success both in terms of our impact and reach: *Producing over 35 reports. *Holding over 50 high level events and conferences. *Featuring in every UK national newspaper and international publications, contributing to national TV and Radio debates and reaching an international Twitter audience of more than 5 million. LC-UK is the leading think-tank on ageing and demographic change. We have over 15 years’ experience of producing ground breaking research, policy analysis and debate. Presenting current and futures research on economic policy, families and community, health and social care, migration and integration, transport and planning, work and wellbeing. Issue and impact driven – we aim to improve public policy and practice both at the national and international level. We are solutions focussed and all our reports include targeted recommendations for future action. Over the last year, we have enjoyed great success both in terms of our impact and reach: *Producing over 35 reports. *Holding over 50 high level events and conferences in conjunction with No 10 Downing Street, members of the Royal Family, Ministers and celebrities. An exceptional opportunity to join our centre management team overseeing the Deptford Lounge, a landmark building with excellent educational, cultural and community facilities in Deptford, South East London. A Theatre Trip for Every Child is an exciting new philanthropic giving scheme, aimed at encouraging individuals and businesses to donate money to provide free theatre tickets for every child in their local area. We are looking for part time Campaign Managers to lead the development of this appeal and grow relationships with donors, local businesses and schools in their local boroughs. Innovators are passionate about and committed to their goals, which compels them to persist physically and mentally. They never quit and continue even when they experience challenges, setbacks, or failures, which is the biggest difference between innovators and non-innovators. CITY ARTS is looking for a DIGITAL PROJECTS OFFICER to work with an App Developer and Designer to produce a high end App for older people, carers and health professionals. Entelechy is seeking up to 5 new Charity Trustee with a range of skills and experiences that meet the organisation’s needs for strong governance and are able to devote the time required to play their role effectively. In addition we expect that one of the new trustees will have the potential to succeed the current Chair within the next twelve months. Trustee roles are unpaid. Arts 4 Dementia (A4D) seeks a part-time project co-ordinator resident in Dorset to support, help develop and deliver our Reawakening arts programme for people with early stage dementia. Reawakening aims to establish a framework to integrate artistic activity into the dementia care pathway and involves setting up inspirational projects at arts venues in Dorset, mapping arts opportunities for dementia around the county, training sessions and creating an arts festival for dementia.